Yenni is a feisty and cute 15-year-old girl who is so obsessed with money that she runs a profitable loan sharking business at her school! Her wealthy grandmother is shocked at Yenni's behavior, and decides to change the financial arrangements for the money she's leaving to her granddaughter in her will: Yenni will only inherit her grandmother's hefty fortune if she ceases the loan-sharking business ... and if she marries an honest man! 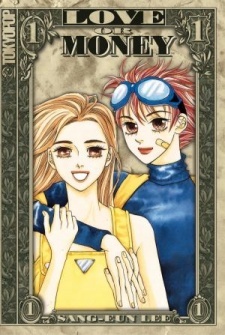 Love or Money was published in English by Tokyopop from December, 2004 to April 30, 2005.